"Only a few decades ago, Tohoku "snow country"-and especially Aomori Prefecture-was synonymous to most Japanese with dire poverty. 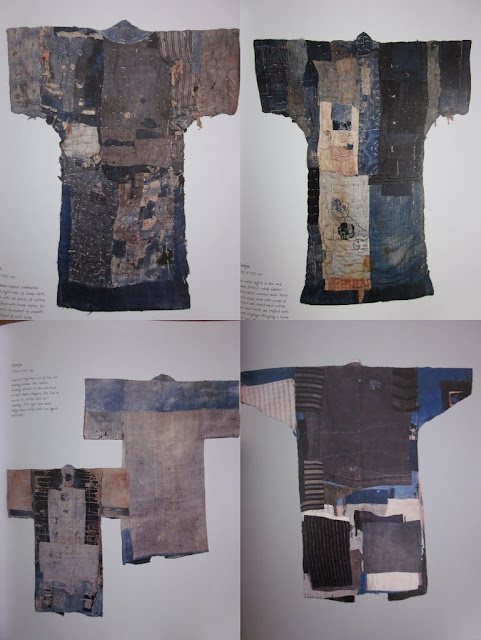 Situated dead-end on the northernmost tip of the main island of Honshu, Aomori was home to dirt poor farmers who, out of desperate necessity, created an astonishing textile aestethics out of boro-mere "rags"." 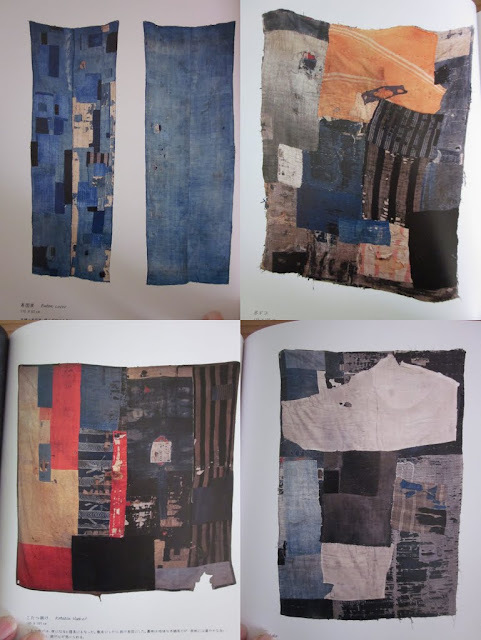 The textiles are indigo dyed and mostly of hemp, handstitched and stuffed, ever and ever again. One person owned only one piece of clothing his entire life. Layer on layer on layer. To sleep, to work, to die. 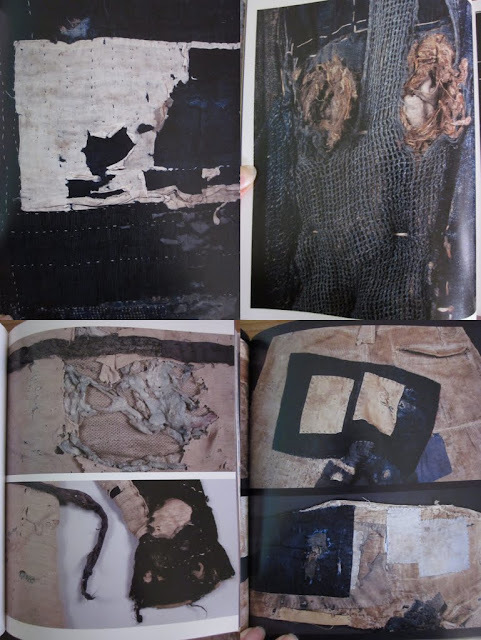 The last images are diapers from an elderly woman who became bed-ridden. Awesome designs. This can be of real inspiration for any designer. I think actually, that we could not reach this kind of aesthetics, 'cause we think already too much. You can feel in this textiles really the time, the years over which they develloped. Nice photos and interesting reading. Most of the boros on this website are out of cotton-in my book there are mostly hemp, 'cause they come from so far north, where it's too cold to grow cotton and they were too poor to buy it from other areas. What I don't understand is, to make pillow covers out of it or even worth, like a dutch designer (http://denhamthejeanmaker.blogspot.com/2009/06/something-borod.html), new jackets out of real vintage boros! Urgh, as a designer you might take them as inspiration but treating them this way is for me just unrespectful!